Some topics are not to even be broached, lest a Leftist take offense, and well…. No, you, and any normal person moved on sir. But, a young Stalinsit starter kit took grave offense, and well………. Immediately after the student complained to the administrator, the teenager came, with a teacher at her side as support, to confront him in a public area of the school. She pressed for an apology, but the teacher resisted, because, he said, it would set a dangerous precedent for a teacher to be reamed out in the presence of a colleague. Now panicking — he has a family to support and had just recently returned to teaching after several years in business with a relative — he apologized profusely and promised to apologize the next day to the offended student. He repeatedly asked what he’d done wrong or if there was an allegation of misconduct. It was exactly the horror show he’d imagined: His boss sat among a crowd of students, ran through a list of what had gone wrong and “what I needed to do to change.” While most students appeared to be on his side, the offended girl was still furious. He apologized specifically to her, but then made what was apparently a fatal error: He said he liked her, that she was a bright and engaging student, and said he’d told her father just that at a recent parent-teacher night. She stormed out of the class in tears, and he was again castigated by his superiors, this time for having been “too personal” in his apologia. This is the danger of placating students, or anyone frankly, with deep emotional issues, which this girl clearly has. Instead of dismissing the girls baseless complaint, the school railroaded the teacher for, well, nothing. 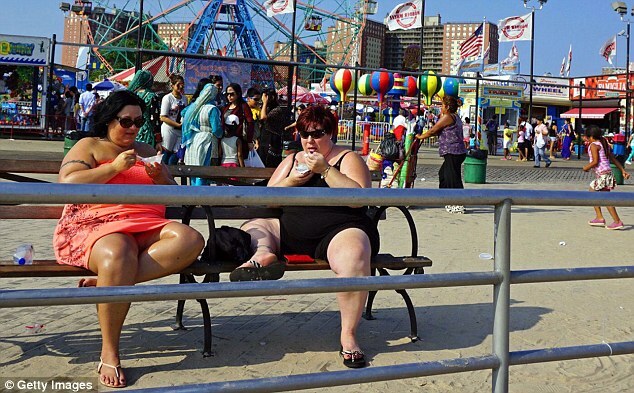 The National Institutes of Health (NIH) has now spent over $3.5 million of taxpayer’s money to try and determine why the majority of lesbians in the US are obese. The study entitled, ‘Sexual Orientation and Obesity: A Test of a Gendered Biopsychosocial Model,’ is aimed at concluding why nearly three-quarters of adult lesbians are dangerously overweight. The study is also investigating why heterosexual men are twice as likely to be obese when compared to gay males. 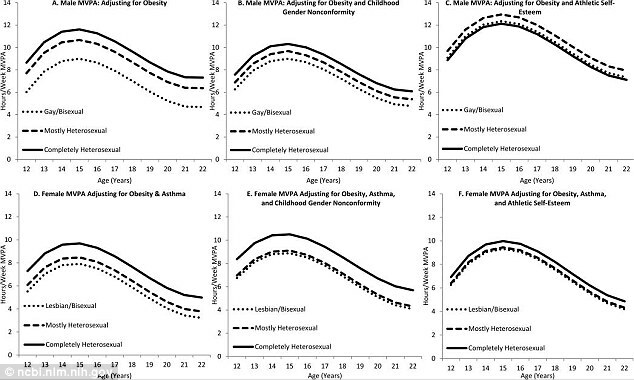 ‘It is now well-established that women of minority sexual orientation are disproportionately affected by the obesity epidemic, with nearly three-quarters of adult lesbians overweight or obese, compared to half of heterosexual women. In stark contrast, among men, heterosexual males have nearly double the risk of obesity compared to gay males,’ says the study. The NIH has cited public health and the risks associated with obesity in their continued funding of the project. The study first began in 2011 and it will continue until June of next year. Free Beacon reports that the total funding for the research is now $3,531,925. Funding has more than doubled since the study was first reported on by CNSNews.com in 2013. A scientific paper associated with the study asserted that lesbians have lower ‘athletic-self esteem’ that could be linked to higher rates of obesity. A separate research paper found that lesbians are more likely to see themselves as a healthy weight even if they are not. A study published last month by the project’s lead investigator, S. Bryn Austin, concluded that young gay and bisexual men were more concerned with being lean than their heterosexual male counterparts . The study found that both heterosexual and homosexual males were concerned with their muscles at a young age. ‘Latent transition analyses revealed that sexual minority males (i.e., mostly heterosexual, gay, and bisexual) were more likely than completely heterosexual males to be lean-concerned at ages 17-18 and 19-20 years and to transition to the lean-concerned class from the healthy class,’ said the scientific paper. The study also investigated body issues among young men and suggested that they should be screened to ensure they didn’t have too much of a preoccupation with their biceps. So, How Come Hitlery Isn’t In Jail Right Now? Impeachable Offenses Update: Obama Using Taxpayer Money To Fly Central American Minors To U.S.
Fast forward five years – Investigators have proven 1,268 cases of fraud in the $840 billion stimulus program. Despite thousands of fraud cases, the financial losses under the 2009 Recovery Act have been just a fraction of what the government expected. Five years after President Obama signed the American Recovery and Reinvestment Act into law, investigators have proven 1,268 cases of fraud in the $840 billion stimulus program, resulting in $57 million in recovered funds. Still, the amount of fraud discovered so far is far less than what investigators said they expected when Congress passed the stimulus package. “We have not seen the level of fraud that I think many people feared,” said Kathleen Tighe, the chairwoman of the board. The board, created by the Recovery Act, is charged with monitoring all the money spent in the stimulus and disaster relief funds from Superstorm Sandy. She credited unprecedented transparency, aggressive prosecutions and an emphasis on fraud prevention. Vice President Joe Biden will visit the St. Louis region this week on the fifth anniversary of the failed Obama Stimulus program. Don’t expect him to talk about all of the fraud in the failed Keynesian experiment. Uncle Sam – AKA the federal government – went on a New Year’s Eve binge, adding a net of $125,202,709,546.99 to its total debt in just the one day of Dec. 31, 2013, according to the U.S. Treasury. That equals approximately $1,088.60 for each of the 115,013,000 households the Census Bureau currently estimates there are in the United States. That equals $5,336 for each household in the country. At the close of business on Dec. 30, 2013, the total debt of the federal government was 17,226,768,075,403.16. By the close of business on the next day – New Year’s Eve – the debt had risen to 17,351,970,784,950.15 – a one-day jump of $125,202,709,546.99. At the close of business on Sept. 30, 2013 – the last day of fiscal 2013 – the federal debt had been $16,738,183,526,697.32. By the close of business on Dec. 31, 2013—the last day of the first quarter of fiscal 2014 – the federal debt had climbed to $17,351,970,784,950.15. That represented an increase of $613,787,258,252.83 during the quarter – or $5,336 for each of these 115,013,000 households in the country. In the five-month period from May 17 and October 16, 2013, the Treasury reported that the portion of the federal debt subject to a legal limit set by Congress closed every business day at $16,699,396,000,000, or approximately $25 million below the then-legal limit of $16,699,421,095,673.60. During this period, Treasury Secretary Jacob Lew informed Congress that the Treasury was using “extraordinary measures” to prevent the debt from exceeding the statutory limit. On October 16, Congress enacted legislation that suspended the debt limit through Feb. 7. The debt of the federal government, which is normally subject to a legal limit, jumped by $409 billion in the month of October, according to the U.S. Treasury. That equals approximately $3,567 for each household in the United States, and is the second-largest one month jump in the debt in the history of the country. In the continuing resolution deal sealed by President Barack Obama and the Republican congressional leadership last month, the legal limit on the federal debt was suspended until February 7 of next year. The single greatest one-month increase in the federal government’s debt came in October 2008, when Congress enacted the Troubled Asset Relief Program to bail out the financial industry. In that month, the debt subject to the legal limit climbed by about $545 billion. At the close of business on Sept. 30, 2013, the last day of fiscal 2013, the federal debt subject to limit stood at $16,699,396,000,000. At the close of business on Oct. 31, 2013, the first month of fiscal 2014, the debt subject to limit stood at approximately $17,108,378,000,000. Thus, during October, the debt increased $408,982,000,000 – or about $3,567 for each of the 114,663,000 households the Census Bureau estimates there are in the United States. From May 17, when the Treasury was approaching the previous debt limit, until Oct. 17, when Congress enacted the CR suspending the debt limit until February, the Treasury reported that the debt closed each business day at $16,699,396,000,000 – or about $25 million below the then-legal-limit of 16,699,421,095,673.60.